No one manufactures and sells more professional grade torque products than CDI. Abolox Tools is the largest supplier of CDI industrial quality torque tools in the southeastern USA. 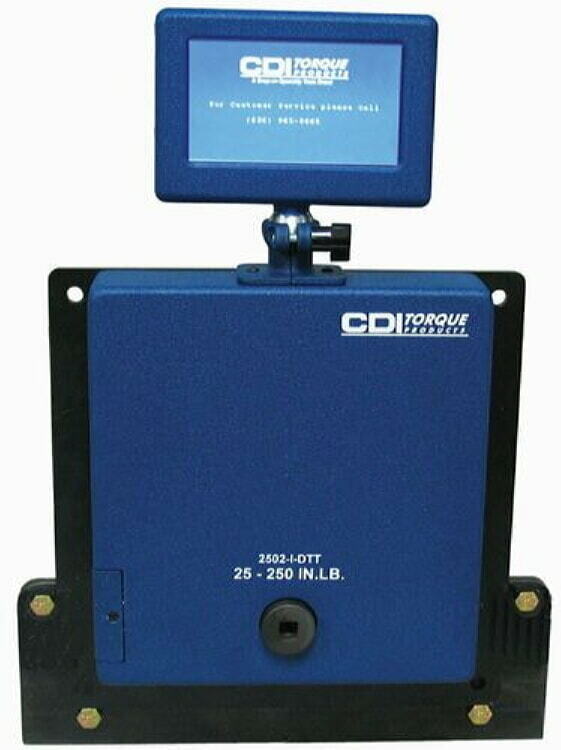 Our CDI precision torque, force and tension calibration systems are the best in the world. CDI is ISO 9001 certified and a pioneer in the development of digital torque measuring instruments. So whether it's torque wrenches and drivers or torque testing and calibration equipment, all our torque products meet the most exacting standards and are delivered right to you. At Abolox®, we’re proud to be able to offer outstanding tools at amazing prices, and our selection of torque tools has something for every workshop and job site. If you’re searching for wrenches, multipliers, testers, and more, you can find it in our online catalog. We carry quality options from top-name manufacturers, and you can order tools that will stand the test of time. If you’re building a new workshop, or you’re starting a new project, and you need new torque tools, we can help you find the options that will let you get to work sooner rather than later. We have wrenches, heads, screwdrivers, and everything you need to create the perfect toolbox that will make it easy to work on any job. You may already have all the torque wrenches and screwdrivers you need, but they’re starting to get a bit worn. If you need replacement parts, you can find plenty of great options in our catalog. We have replacement square drives for a number of tools, and if you’re not sure which one you need, our team will gladly help you find the right one. It’s always important to know what state your torque tools are in, and if you need calibration and testing equipment for your mechanic’s shop, you can find the perfect options in our online store. We have drive sensors in a number of capacities, as well as cables and transducer kits. If you need a wall-mounted digital torque tester, you can find it in our store and then test the health of all your wrenches before you begin working on a project. You can capture peak torque values and store them in your computer, letting you easily access the data at a later time. We’re dedicated to helping each customer find the torque tools that they need to get the job done. We’re proud to have quality options from brands like Williams and CDI, and we can help you find the best products for your shop or job site. If you have questions about a certain tool, or you want to know when a product will be back in stock, you can contact us at any time, and a member of our team will assist you. Above all, we want you to have a positive experience every time you shop online with us or speak with a member of our team. Look through our online catalog today to find your new torque wrenches, screwdrivers, testing equipment, and much more. We know that you’ll love the selection that we have to offer, and that you’ll be able to find tools that you’ll use for years to come. If there’s ever an issue with your order, or you’re not sure which product will be best for your particular project, contact us and we’ll help however we can. At the end of the day, we’re here to serve you. We look forward to helping you find the right tools!